Prost! German Club Manila toasts to a new partnership with Solaire for this year’s Oktoberfest. The German Club Manila’s Oktoberfest has always been a favorite among Filipinos and the expat community alike. And is one of the year’s most highly-anticipated events. It’s a lively gathering filled with merrymaking and good-natured fun. The annual Oktoberfest aims to showcase the best of German culture through great food, entertainment, and of course, its famous beer. The German Club Manila is taking the fun and excitement to the next level. By recently signing an agreement with Solaire Resort & Casino to be the official venue for the 80th Oktoberfest. The event will be held on October 4 to 6, 2018 at the Oktoberfest Tent at Solaire. “The German Club is a 112-year-old membership club in Manila, and this year, we are celebrating our biggest Oktoberfest yet. We are very delighted to continue this tradition in the Philippines and celebrate the occasion with our Filipino friends. We are pleased to have a new partner in Solaire.” says German Club President Tobias Rast. Located in the vibrant Entertainment City, the integrated resort is the ideal partner to host German Club Manila’s annual highlight event. And it is expected to be bigger and better than before! Aside from its expertise in staging international and local events, Solaire is also home to the country’s finest bars and restaurants, who continue to provide impeccable culinary flavors and world-class service. “As one of Manila’s premier destinations, we only aim to give the best experiences to our guests. We are honored and thrilled to be hosting this year’s Oktoberfest, and we want to make it even more memorable by ensuring that everything’s authentic – the beers, the food, and the entertainment. It’ll truly put the spotlight on the best of German culture.” says Bastian Breuer, Vice President of Food & Beverage at Solaire Resort & Casino. As Authentically-German Oktoberfest As It Gets! A 2,400sqm meter tent will serve as the venue for the three-day beer festival. Guests will get to savor authentic Bavarian beer from the world’s oldest brewery, Weihenstephaner. While German Club Manila will spearhead the event program. Another highlight of the event is the Bavarian Sound Express. Who will once again delight guests at this special Oktoberfest. 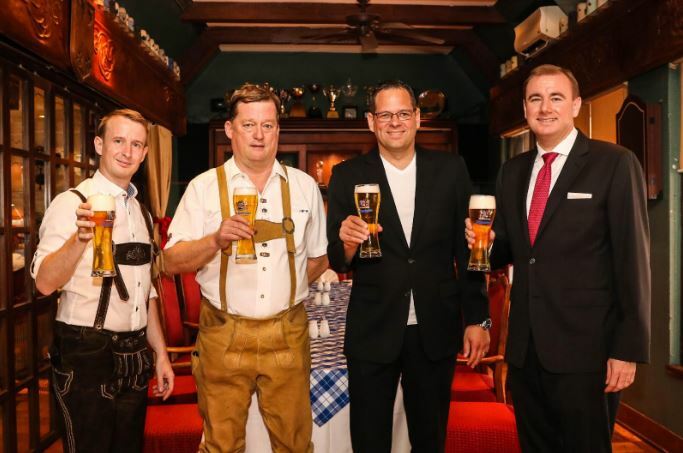 German Club Manila and Solaire assures guests that this year’s event is the closest they’ll get to having a festive time, the authentic German Oktoberfest way. 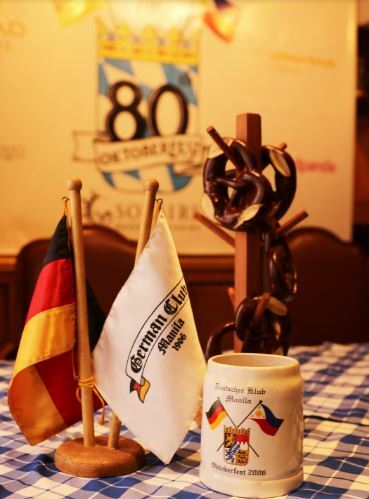 “We are also happy to have the 80th Oktoberfest as part of our 5th anniversary highlights, and guests will be pampered with an overflowing selection, Bavarian delicacies like pork knuckle, weisswurst, homemade sausages and German breads just to mention a few. Plus, a robust program will keep the fun going on all three days,” adds Michael Dinges, Vice President of Culinary at Solaire Resort & Casino. 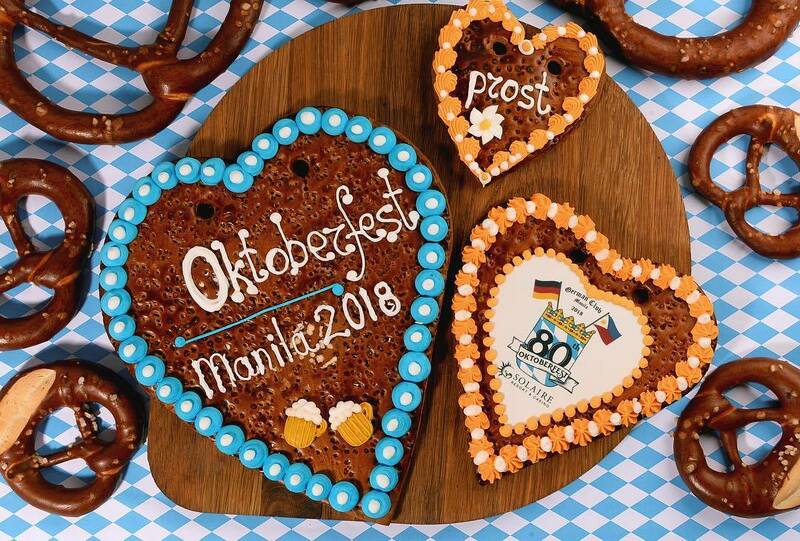 Whether you’re a regular at the German Club Manila’s Oktoberfest events or it’s your first time to experience this traditional German gathering, everyone is set to have the best time at this year’s Oktoberfest in Solaire. Make sure to stay updated on one of the year’s biggest events by logging on to www.oktoberfest.ph. The German Club prides itself in being a home away from home for its multinational members and distinguished guests. It provides a comfortable ambiance, superior food and beverages as well as a warm club atmosphere to its members. Making it conducive to private family gatherings or business communications. The German Club at the Penthouse of the Eurovilla II Building is a great place where members treat business associates, friends, or family to a memorable dining experience in a prestigious, yet casual ambiance. Its location makes it ideal for short business discussions or extensive company conferences. Bloomberry Resorts Corporation (PSE: BLOOM/ www.bloomberry.ph) is a public company listed on the Philippine Stock Exchange. It aims to develop destination resorts featuring premium accommodations, gaming and entertainment, and world-class restaurants and other amenities. Solaire Resort & Casino is the company’s flagship property. It’s an integrated destination resort on an 8.3-hectare site in Manila, Philippines. And the first to open in the government sponsored (Philippine Amusement and Gaming Corporation) economic development zone known as Entertainment City. Philippine-based Solaire Resort and Casino currently operates two distinctive towers: Bay Tower and the Sky Tower. Combined, both towers total 800 opulent rooms, suites and bay side villas. Solaire Resort and Casino is the first premier integrated destination resort to open in the Entertainment City with luxury facilities and personalized services. Solaire has 15 extensive dining options, bars, lounges and entertainment venues. A total of 18,500 square meters of impressive gaming facilities. A 1,760 seat State-of the art lyric theatre. Other facilities are an outdoor swimming pool with cabañas and Jacuzzi, Spa, and fitness center. The Sky Range Shooting Club is an indoor shooting range for gun enthusiasts and shooting aficionados. It also has 41 retail shops, 2,920 square meters meeting facilities, a grand ballroom, along with full banquet and catering facilities.